The platform provides virtual mapping of the energy used in industrial processes. Current customers of METRON include leading manufacturing companies from a variety of energy-intensive industries such as mining, steel, pulp & paper, chemicals, glass, automotive and food & beverage. EIT Digital Accelerator announces that one of its supported scaleups, METRON, a leading provider of artificial intelligence algorithms to reduce energy consumption of industrial plants, has raised first-round funding with Breed Reply Plc. 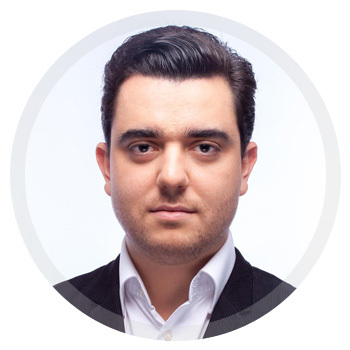 Vincent Sciandra, CEO and co-founder of Metron declares: "This new funding will support the international growth of METRON and increase our ability to roll out our highly successful energy intelligence platform. Over the last five years, we have helped companies across a variety of industries turn energy efficiency from a static, reactive process into a dynamic, proactive strategy. We are reshaping the way energy data is used. It is a strong endorsement of our technology and potential that Breed Reply has backed us, and we look forward to working with them." "METRON is a great example of the impact pure digital technologies can bring to Industry 4.0 companies. METRON's platform runs smart AI algorithms in real time which no other company has developed so far, to generate tangible energy savings and improve industrial processes. We are convinced of the value of an international investor with deep Internet of Things experience, to enable METRON to further speed up its internationalisation," says Daniel Michel, Head of EIT Digital Access to Finance. METRON offers customers an energy intelligence platform, which collects, aggregates and analyses in real time all types of data generated by industrial systems, while interfacing directly with energy markets. The platform provides virtual mapping of the energy used in industrial processes. Through machine learning algorithms and dedicated knowledge bases, it allows companies to predict and proactively reduce energy consumption to reduce costs and achieve regulatory compliance. The platform also enables more advanced optimisation strategies. By using artificial intelligence (AI) and interfacing directly with energy markets and decentralised energy assets, factory operations can be optimised in real time according to context. Current customers of METRON include leading manufacturing companies from a variety of energy-intensive industries such as mining, steel, pulp & paper, chemicals, glass, automotive and food & beverage. METRON also partners with facility managers, utilities and original equipment manufacturers (OEMs) to help them optimise the energy use of their own industrial portfolio. Based in Paris, METRON is active in Europe, Latin America and the Middle-East and opened a new subsidiary in Singapore in January 2018.